Cover art done by Phatpuppy Art. 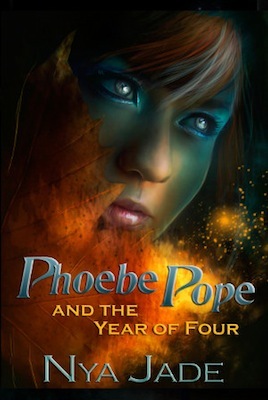 I am organizing a promotional blitz for YA Paranormal, Phoebe Pope and the Year of Four by Nya Jade, which will take place on Friday, December 7th, 2012. The promo blitz post will consist of the book and author info, purchase link, an excerpt, and a giveaway (optional). The giveaway is for a Kindle Fire HD, every participant will receive the Rafflecopter code which will have an entry to follow your blog.